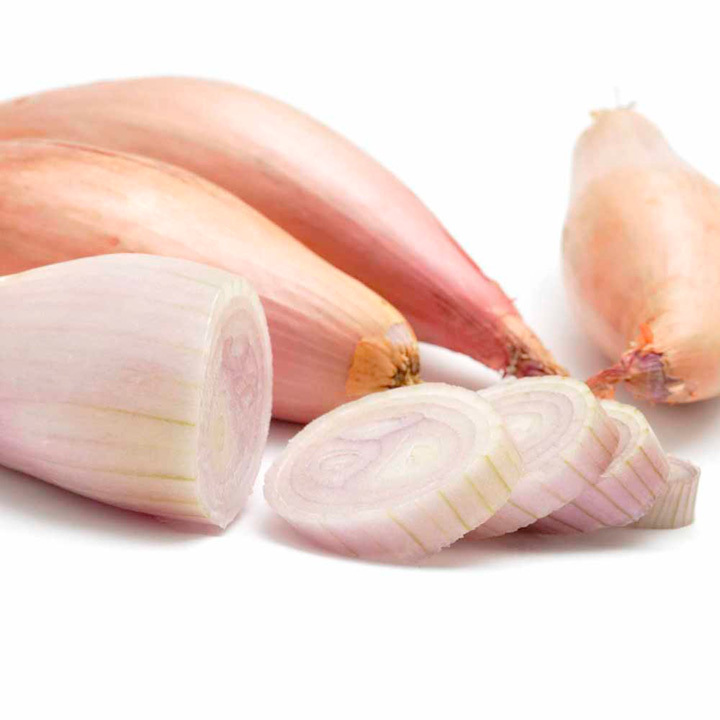 Onion Set Electric - Produces outstanding quality, shiny, deep red semi-globe-shaped onions with excellent flavoured pink tinged flesh. Ideal for over wintering, plant in autumn-early winter for harvest May-June. 250g pack. 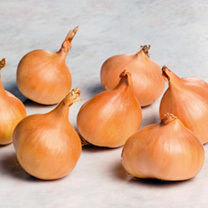 Onion Set Autumn Champion - This superb onion matures from late July and stores well until the end of the year. Whilst mildish in flavour it's a little more robust than others offered due to its slightly higher dry matter content. The best choice if you only have room for one! 250g pack. Shallot Griselle - A robust spicy taste that will not disappoint! Best planted October to mid December, it multiplies well to give a good crop of long, grey-skinned bulbs in June. Use green or dried for storage well into winter. 500g pack. Shallot Longor - An excellent elongated banana-type variety with copper coloured skins and pink flesh. Each shallot yields 6-8 bulbs at harvest. Very easy to peel and slice. Great tasting sweet flavour! Harvest June-September. 500g pack. 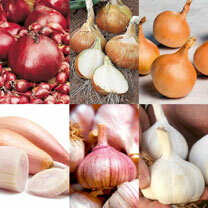 Garlic Edenrose - A superb, high yielding hardneck variety. 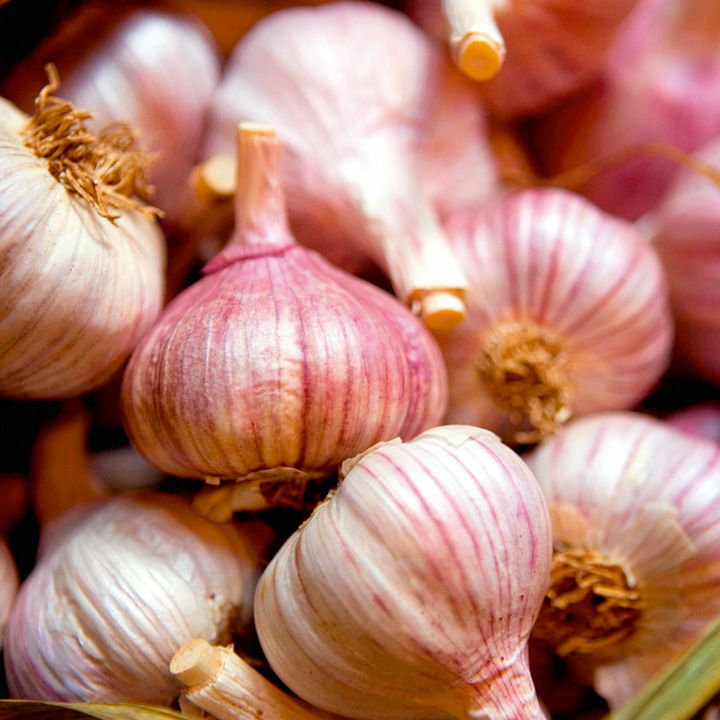 bulbs contain a large number of easy to peel, rosy skinned cloves with a strong flavour. Can be planted in the autumn and in the spring. (French-grown hardneck: these are very hardy - ideal for northern areas - and are widely regarded as the finest tasting of all garlics!). 2 bulbs (12-15 clovers per bulb). Garlic Printanor - A reasonably new variety with large bulbs filled with plump tasty cloves. Can be planted in the autumn and in the spring. Harvest June-September. (French grown - softneck). 2 bulbs (12-15 cloves per bulb). This is a really excellent collection of sets for autumn planting. Generous amounts of each variety. The sets all looked healthy and in good shape.